The Southern Gateway’s iconic view of downtown Raleigh. Raleigh, NC is well on its way to becoming one of the South’s next major population hubs. To accommodate that rapid population growth and to help more people participate in the economic growth it will likely entail, Raleigh leaders are planning to create a Bus Rapid Transit (BRT) line. 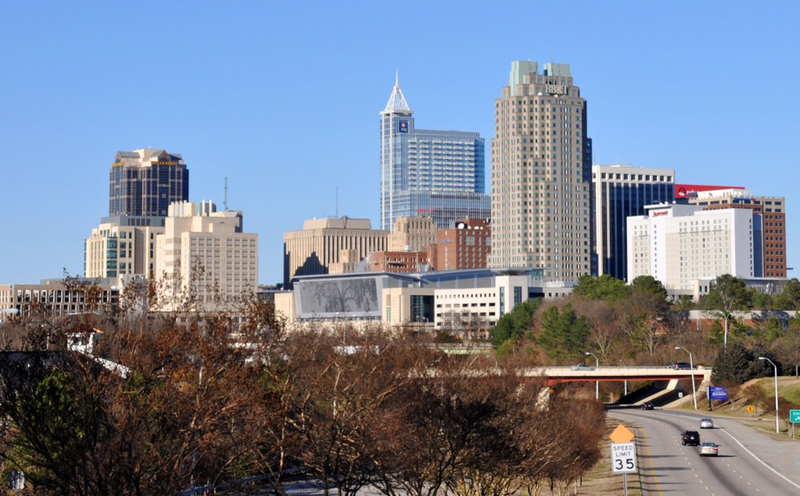 In October, Smart Growth America traveled to Raleigh to convene a Successful and Equitable Revitalization workshop to help the community ensure that project is both economically successful and socially equitable. Smart Growth America and the Natural Resources Defense Council found that current transportation policies in almost all 50 states either fail to curb carbon emission rates or, in some cases, actually increase emissions.